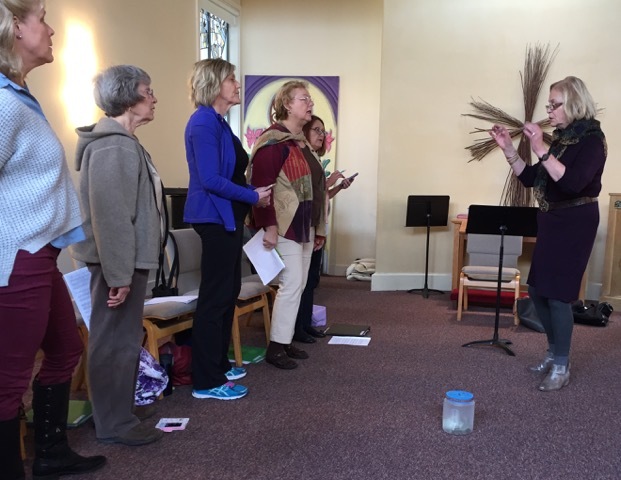 Tapestry currently has openings for singers and ringers! Who: Prospective singers need to be able to read music, be willing to memorize the repertoire, and have had considerable experience performing eclectic choral music. Ringers need to have had six years experience and be comfortable performing level 3 music. When: Rehearsals for singers are Wednesday mornings from 9:00 to 11:30. Ringers rehearse Wednesday evenings from 6:30 to 9:00. Where: Rehearsals are held in Walnut Creek. Most performances are in the East Bay Area, but Tapestry occasionally performs elsewhere in the U.S. and abroad. For more information or to schedule an audition, contact Artistic Director Cindy Krausgrill. "Thank you for an exceptionally wonderful concert tonight … amazing harmony, voices, and creativity!" ~ Shirley B.